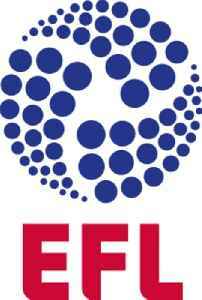 The English Football League (EFL) is a league competition featuring professional football clubs from England and Wales. Founded in 1888 as the Football League, the league is the oldest such competition in world football. It was the top-level football league in England from its foundation until 1992, when the top 22 clubs split away to form the Premier League. Laurence Bassini says he has agreed a deal to buy Bolton Wanderers subject to approval from the English Football League. Barnsley lodge a formal complaint to the EFL and FA following an alleged incident involving Fleetwood boss Joey Barton.